Originally published under the title, "BDS Fail: Score One for Academic Freedom." 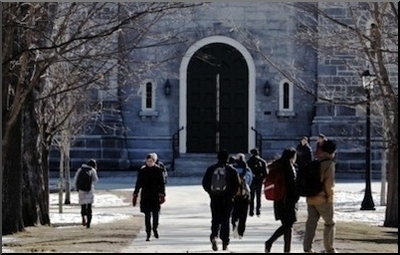 Seventy-one percent of students at Bowdoin College, an undergraduate liberal arts school in Maine, voted against a resolution calling for an academic and cultural boycott of Israel in a May 6 referendum. In the United States, it has been a good week for defending principles of academic freedom, freedom of speech and freedom of artistic expression. Efforts to prevent the screening of the film American Sniper on the campus of the University of Maryland in College Park failed. The film was screened this past Monday. In New York, some members of PEN, an organization devoted to defending writers' freedom of expression, objected to an award that the organization gave to the surviving members of the editorial board of Charlie Hebdo. Neither the leaders of PEN nor the vast majority of its members agreed. It has also been a good week at Bowdoin College, an undergraduate liberal arts school in Maine. As William Jacobson has reported in his valuable blog, Legal Insurrection, on May 6 a petition offered by Students for Justice (SJP) in Palestine calling for a full academic and cultural boycott of Israel - not only for divestment in financial matters - was put to a vote for the whole student body. The petition was opposed by an informal group of students who formed in opposition. After their extensive efforts, the resolution went down to a resounding defeat. Seventy-one percent (1,144) voted against it, 14 percent (228) voted in favor, 15 percent abstained (247). No academic collaboration with scholars acting as representatives of Israeli universities; No ability for someone to study abroad at an Israeli University; No visiting appointments for Bowdoin faculty at an Israeli University; No publication in any journal or press affiliated with an Israeli institution; No exchange of curators or scholarship related to antiquities in our museum; No visits to Bowdoin by anyone acting as a representative of an Israeli institution. They added that a boycott would "stifle discussion about the broader conflict and limit the free exchange of ideas. This boycott threatens Bowdoin's academic integrity and reputation as an open-minded and tolerant community." Their arguments struck a nerve as did the efforts of the on campus J Street group, which also was active in opposing the SJP total boycott petition. Bowdoin College President Barry Mills commended the "resounding and unambiguous statement by our students." 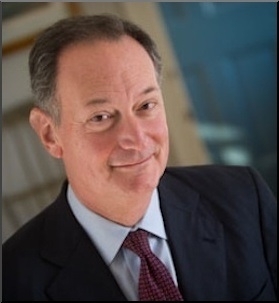 Following the announcement of the vote, Bowdoin's outgoing President, Barry Mills, who issued a public statement in December 2013 strongly opposing any boycott of Israeli institutions, said that "there was never any question about Bowdoin College joining this movement." But he added: "That said, it is gratifying to see this resounding and unambiguous statement by our students who clearly understand the vital importance of open discourse between scholars and educational institutions and the free exchange of ideas and knowledge." Liberal arts colleges such as Bowdoin are fertile ground for BDS success. Jacobson called the result "close to a perfect storm in favor of SJP. It had a core group of seniors who for years have been advocating against Israel on campus. It was operating on a highly progressive campus, and was very organized in its approach." It cleverly "put its Jewish members out front to lead the boycott drive," a tactic that had been used at other campuses. Yet, "it failed miserably," he writes. "Once students really found out how damaging the academic boycott would be to academic freedom, the reaction was overwhelmingly negative." The outcome demonstrated that "it is through false and misleading propaganda, often by faculty, that BDS has gained a foothold in academia. At Bowdoin, even a years-long campaign to demonize and dehumanize Israel could not overcome the good sense of the student body who understood that destroying academic freedom for everyone is not the answer to any problem." The defeat of the Bowdoin boycott resolution was not just a 'pro-Israel' victory but also a rejection of anti-Israel absolutism. The willingness to sacrifice the academic freedom of the entire community to score political points against Israel was a bridge too far even for the progressive Bowdoin campus. As long as the topic of campus discussion is how bad Israel is, the anti-Israel movement considers the experience worth the effort, because the goal is not to pass resolutions, although it's a plus if that outcome is achieved. The goal is to raise a generation of opinion leaders who hate Israel. So from SJP's point of view, the fact that 200 Bowdoin students voted for the full academic and cultural boycott of Israel is a win. Those 200 can fill plenty of academic-tenure tracks, newsrooms, NGOs, and government agencies. And they will. Jacobson's glass-half-full-glass half-empty assessment is probably on the mark. It is almost certainly true that only a minority of students and faculty in American universities favor a boycott of Israel. It is equally the case that a very large majority views the boycott efforts as a threat to academic freedom at least and at worst as a fig leaf for anti-Semitism. Last week, Bowdoin students displayed a welcome unity around the common denominator of continuing contact with Israel and support for the principles of academic freedom. The best that can be said is that up to this point, some targets of opportunity that seemed vulnerable, such as this selective liberal arts college in New England, have resisted the calls for a boycott.